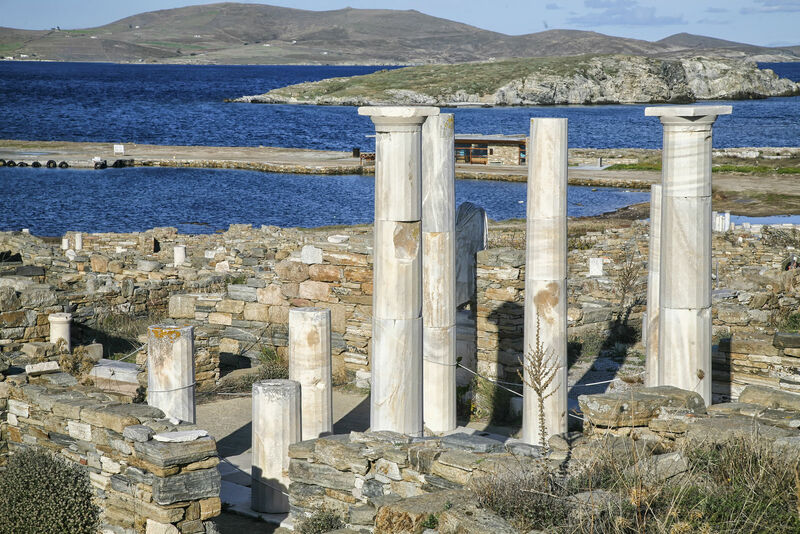 Claimed as the mythological birth place of Apollo, Delos was immensely wealthy and was so impressive that the Romans retained this island as a free port when they came into power. 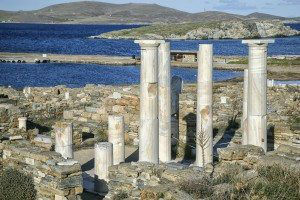 Delos finally collapsed in 88 BC when conquered by Mithridates. 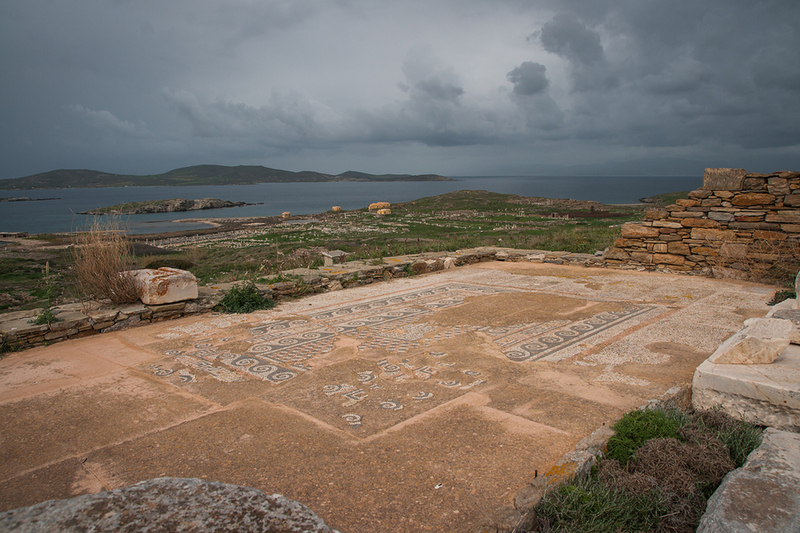 Today, the remains of what was once a very powerful island are only partially excavated. Visit the museum first which is where the famous marble lions that once guarded the sacred lake are now stored. 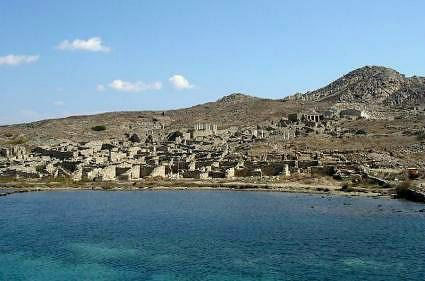 The ‘sacred lake’ is the supposed birthplace of Apollo. All over the island are the remains of temples, homes, and monuments. 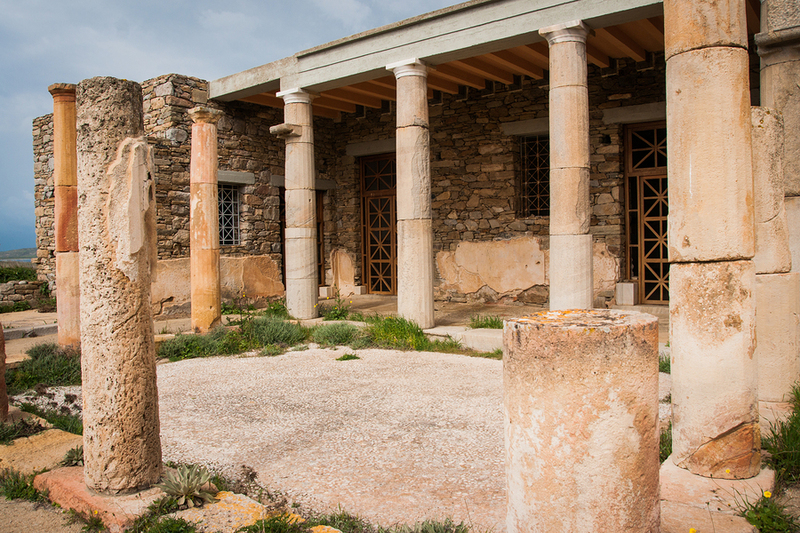 There is also an impressive array of different cultures that left their mark on the island. 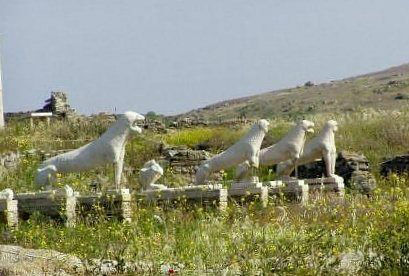 Shrines for Samothracian, Egyptian, and Syrian Gods are interspersed amongst the Greek shrines. The Temple of Isis stands high above most of the town. Entire sections of the residential areas are more or less intact. The streets are still clearly outlined, many of them with sewers running underneath. The northern section of town featured more modest living quarters with smaller apartments, each with only several rooms. Wildflowers have gained foothold in the ruins, peaking out in various places, to add color. A hill rises on the south side of town in an area known as the theater district. 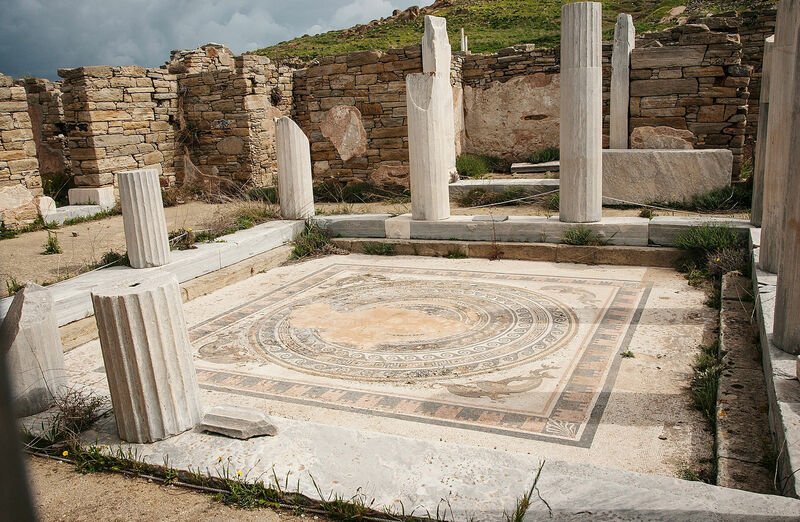 It is here that some of the truly opulent houses can be found with beautiful mosaic floors often showing dolphins, which symbolized Apollo or panthers, which symbolized Dionysus. In the House of the Masks, which is virtually fully intact, a mosaic can be seen of Dionysus riding a panther, along with another mosaic of theatre masks. 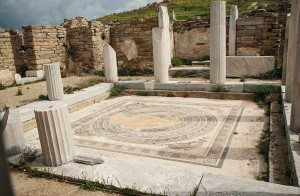 Several rooms in this building contain large sections of the original wall decoration as well as the floor mosaics. It is well worth spending a full morning exploring this island and visiting the museum by having your yacht anchor in Delos Harbor ,coming ashore by ship’s tender. Private guides are available and are recommended.